We will understand the process much better if we work through some examples. First, let us take a simple examples and gradually move up to tackle more complicated ideas. Here is the original bullet point slides. Please go through it. As we discussed earlier, all ideas can be represented as objects and their relationships. The first step in transforming bullet points into visual diagrams is to identify these elements. So, we start by removing all the clutter words that surround the key words. I have used red color to mark the objects and green color to mark the relationships. Now, focus only on capturing the relationship. Don’t bother to represent the objects in any fancy way. 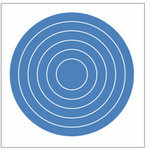 Just a box or a circle with some text is sufficient to represent the objects. 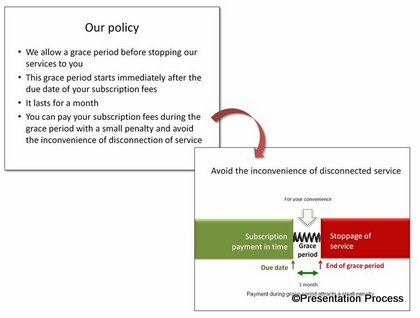 You can easily draw this simple representation on a flip chart or a white board or on a piece of paper in a matter of seconds. 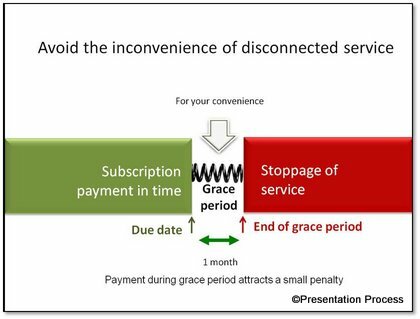 This simple diagram shows how the grace period serves as a cushion before the service is disconnected. 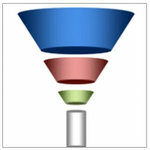 After you capture the relationship, you can improve the look and feel of your diagram by visualizing the objects. 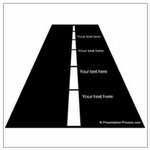 This step is useful to make good visual slides out of the diagrams you created in the second step. Using visual slides is a great way to avoid death by PowerPoint. 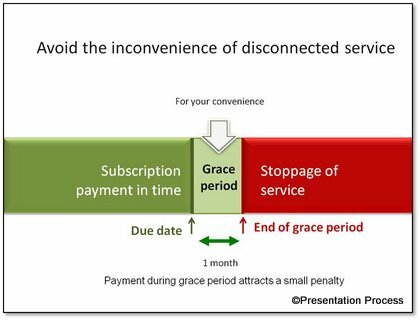 If you want to make the visual slightly better, you may represent the grace period in a more pictorial way. 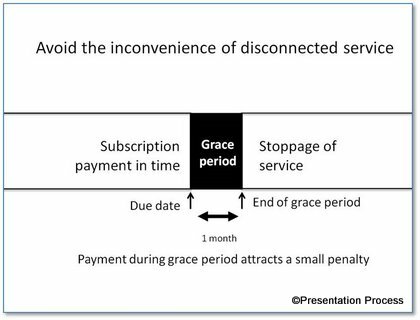 Since we said that the grace period serves as a cushion between the delay in the payment of subscription fees and stoppage of service, we may represent that as a coil spring between the two. 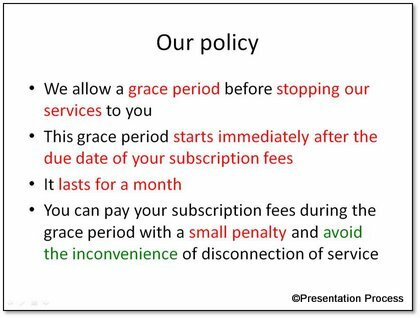 As you can see, no matter how complicated the original concept seems, we can make it into a simple and easy to understand PowerPoint slide for the audience. 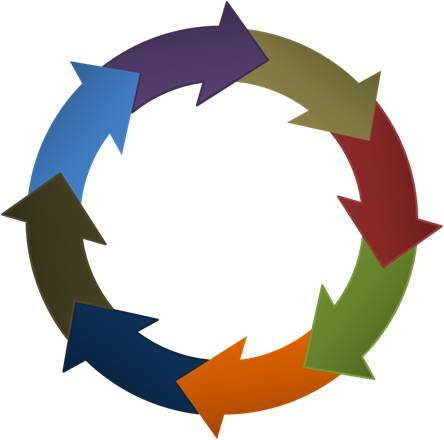 This process just provides the basic premise. If you would like to apply this process to various business situations, learn how to use creative methods like images with analogy, diagrams with dots and arrows etc….